We’d love your help. Let us know what’s wrong with this preview of Dictionary of Proverbs by George Latimer Apperson. 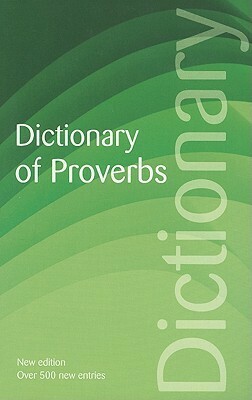 Compiled from GL Apperson's original research of nearly three thousand works dating as far back as the 12th century and earlier, and built upon the foundations of the great Oxford English Dictionary, this dictionary traces the origins and history of English proverbs and proverbial phrases. The proverbs are grouped alphabetically and by subject. To ask other readers questions about Dictionary of Proverbs, please sign up.